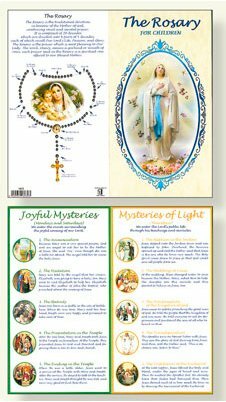 CATHOLIC GIFT SHOP LTD - Concertina Prayer Booklet - How to Say the Rosary. Concertina Prayer Booklet - How to Say the Rosary. Concertina prayer booklet how to Say the rosary for children.